More than 8,000 women in the UAE took their heart health into their own hands and got tested for cardiovascular disease during Majid Al Futtaim Shopping Malls ‘Feel the Beat’ campaign last month. Majid Al Futtaim Shopping Malls annual regional ‘Feel the Beat’ campaign, which concluded last month, helped raise awareness about the misconceptions surrounding heart health and promote a healthy lifestyle. The initiative, which was aimed at women, was in collaboration with the American Heart Association, the world’s leading voluntary organisation dedicated to building healthier lives, free of cardiovascular disease and stroke, along with the Emirates Cardiac Society this year. A total of 8,011 women in the UAE took advantage of the complimentary blood pressure, blood sugar and body mass index (BMI) check-ups that took place in September and October at Mall of the Emirates, City Centre Deira, City Centre Mirdif, City Centre Me’aisem, City Centre Al Shindagha, My City Centre Al Barsha, City Centre Ajman, City Centre Fujairah, City Centre Sharjah, My City Centre Nasseriya, My City Centre Al Dhait, Matajer Al Juraina and Matajer Al Mirgab. The malls had allocated areas to host professionals from Dubai Health Authority and Zulekha Hospital who administered the complimentary cardio-health screenings. First launched in 2009, the campaign has educated thousands of women in the region about heart health. 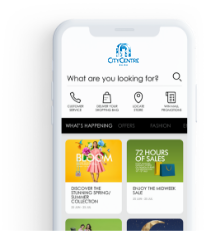 City Centre Muscat, City Centre Qurum and my City Centre Sur in Oman; City Centre Bahrain; Mall of Egypt, and City Centre Beirut also conducted complimentary tests as part of campaign last month. © 2019 City Centre Mirdif . All rights reserved. Majid Al Futtaim Properties.